An Omega Yeast Labs' original, Saisonstein's Monster is a genetic hybrid of their house French and Belgian saison strains! Saison lovers, have we got a saison yeast for you! Saisonstein's Monster is an original genetic hybrid of a French and a Belgian saison yeast, developed by and exclusive to Omega Yeast Labs! Versatile, aromatic and attenuative, it is an excellent choice for high gravity worts, fermenting more reliably and thoroughly than either the French or Belgian strains on their own! It produces beers with a silky mouthfeel that are spicy, complex, tart, dry and crisp. It has a bit of bubblegum character from its Belgian parentage, and tends to be more fruity with less phenolics that a typical French saison strain. 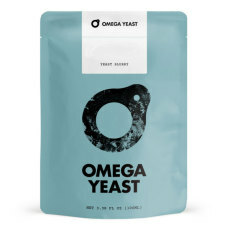 Omega Yeast Labs brings you fresh, healthy and unique yeast! 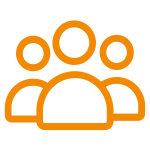 Their yeast packs contain the optimal number of viable yeast cells to ferment 5 gallons of wort up to 1.060 O.G. With a collection of strains that include standard yeast, unique strains created in-house, and rare strains of yeast and bacteria, Omega Yeast Labs is a wonderful source for yeast for all your fermentation projects! Omega Yeast Labs OYL210 Brett Blend #1 Where da Funk?